Pic from a Lincoln/mercury commercial. 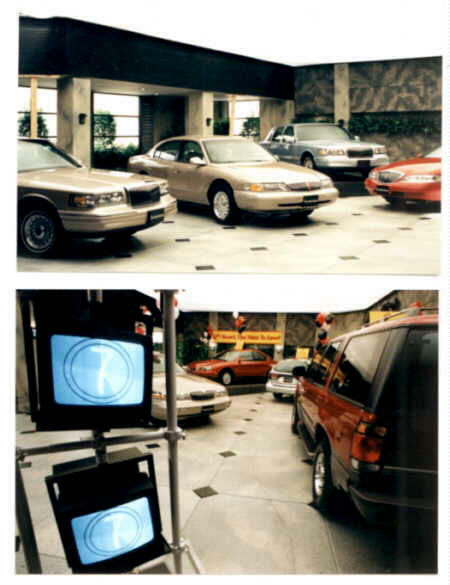 The "dealership" set filled the entire studio space. Walls and floors were covered in faux painted marble panels.